A major shift in the Government’s jobs policy will see it target more employment in research, development and the green economy in the years ahead. 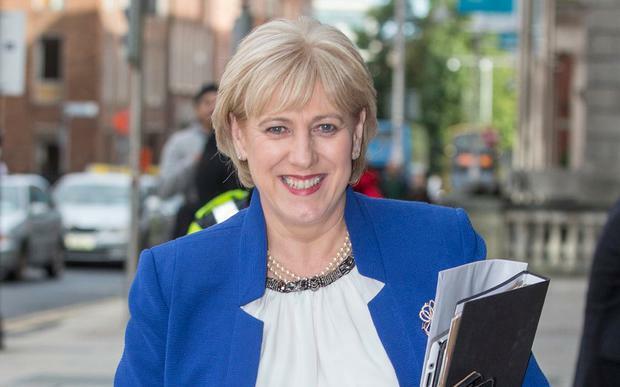 With the economy now edging back towards full employment, Business Minister Heather Humphreys is to host a jobs summit in November, which will form the basis of a new strategy. The emphasis is to move from simply creating jobs to improving quality and productivity. Early proposals seen by the Irish Independent show that the ‘Future Jobs Programme’ will promote a more mobile workforce. It also seeks to increase the number of enterprises and level of investment in innovation and intellectual property. The Government plans to leverage State investments in R&D infrastructures and bring about greater levels of collaboration between enterprises and technology institutes. Ministers also want public sector investment to help provide opportunities for small businesses in the technology field. Another point states that they want to stimulate “greater levels of start-ups with better survival rates, ensuring regulation and competition policies remain fit for purpose”. Ms Humphreys said the Action Plan for Jobs had “served us very well” but that the “hard-won gains of recent years and the progress we have made is sustained for the long term”. She continued: “It’s about anticipating changes that we know are coming in terms of technology and automation and how these will impact on existing jobs. “It’s also about improving productivity and innovation, particularly amongst our SMEs, and preparing for the challenges facing us, such as Brexit and international tax changes. Over the past six years unemployment has fallen from a high of 16pc to 5.1pc, with almost 360,000 new jobs created since 2012. Taoiseach Leo Varadkar said there were now more people at work that ever. He said: “When we had high unemployment, the focus simply had to be on job creation of all forms. “Now that we’re approaching full employment, we need to be a bit smarter and a bit more strategic. We want to create the jobs of the future, jobs that will be around in 20 years’ time, jobs which pay well and offer employment security.